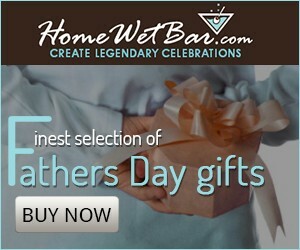 If you are looking for a vodka related gift for this Father’s Day then look no more! Check out a few of the items below. Does your father already have plenty of shot glasses? How about a set of authentic Moscow Mule mugs? Be sure to get your order in soon so you are sure to receive your gift prior to this Father’s Day: June 21, 2015.